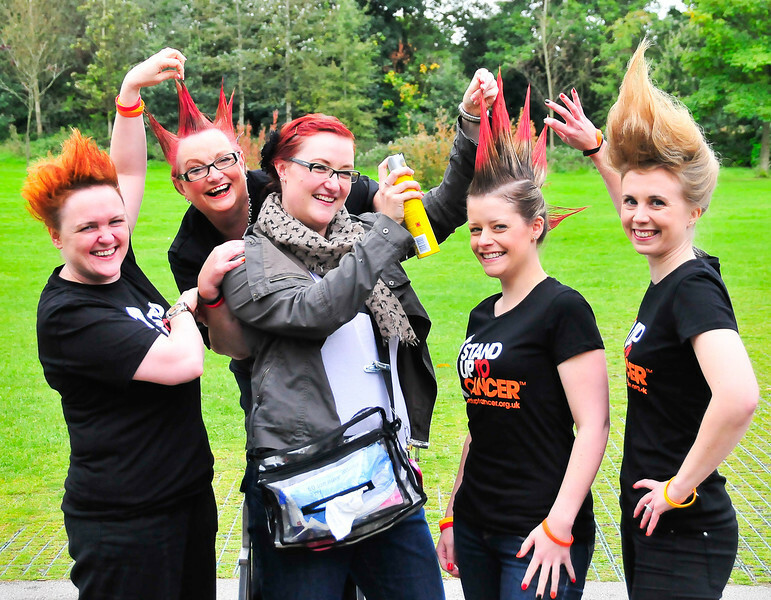 Back in September I donated my time to help an amazing group of ladies from the West Midlands Cancer Research team get their hair to stand up on end for their Stand UP to Cancer campaign this October. 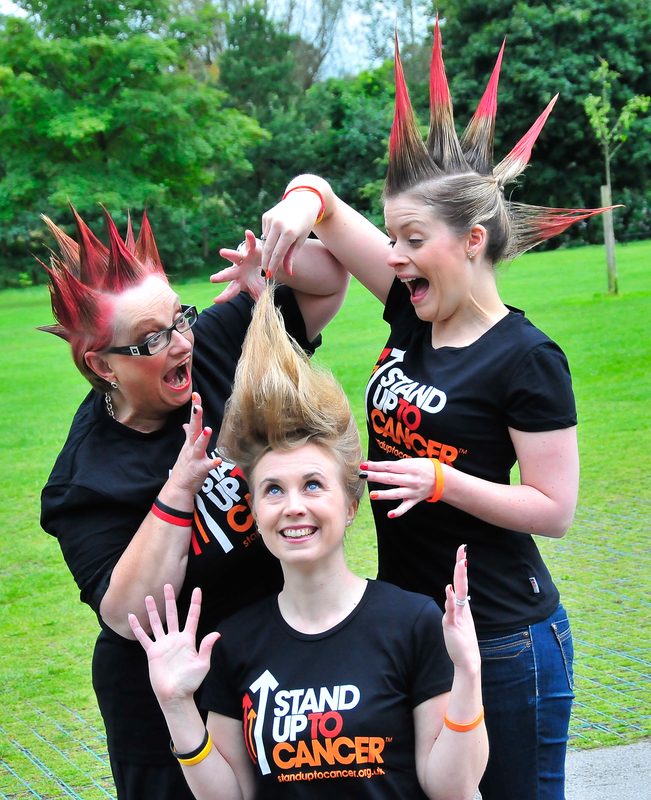 The team were hoping to raise awareness and get volunteers involved in raising money for their Stand UP to Cancer campaign which involved a week of programmes on channel four culminating in the live fundraising show on Friday 19th October. Cancer Research are hoping that with the extra funds raised will help the break throughs seen in the lab turn in to break throughs in our hospitals. A cause I’m sure we all want to support. For more information on this campaign, Cancer Research or details on how to donate, click here. 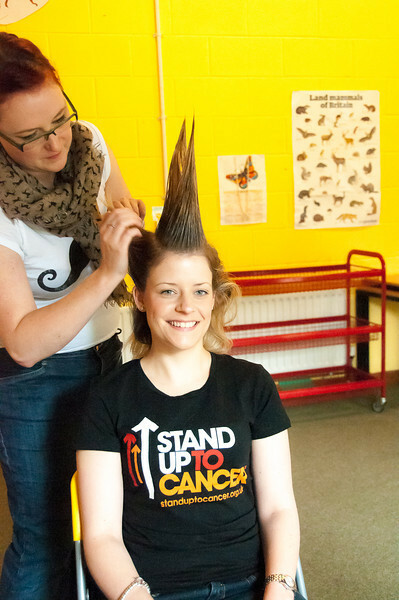 To see all the local press coverage that the Cancer Research team managed to get from their hair raising stunt then see my press pages. However I thought I would share with you a couple of the pictures, from what I can only describe as one the most fun photo shoots I have done. Its not every day I get to go crazy with this much hair spray! And I can confirm that that the Schwarzkopf Got to be Glued range lives up to its name.